Two latest books from Pakistan offer an interesting perspective on India’s neighbour who wants to make this country bleed with thousands of cuts. Asad Durrani, whose name is familiar to the Indian readers and the intelligence community alike, offers a combination of memoirs and reflections laced with dry wit and anecdotes to deliver a homily to his erstwhile brethren in Khaki- that military rule both fails to solve problems and corrupts the soldiers. He has no high opinion of the political class either. Unlike Durrani, Madiha Afzal is an academic and rank outsider to the system. A Ph.D. in economics from Yale University, she is presently a non-resident fellow at the Brookings Institution. Her research takes us to the intersection of development, security and political economy, with focus on Pakistan. Her primer on Pakistan’s terrorist groups that range from Afghan Taliban to India centric LeT of Hafeez Saeed, and the Kashmir centric JeM of Masood Azhar, her narrative on the reach of Islamists, particularly of Jamaat and Jamiat variety, her account of Madrasas and their links to extremism make a factual reading though. Dar-ul-Uloom Haqqania in Akora Khattak has been the incubator of extremism. Its founder, Sami-ul- Haq, who was assassinated recently, is known as the Father of Taliban. Each year more than 18000 children in the age group of six and plus vie for admission in his madrasa. Asad Durrani does not think that illiterate masses can be blamed for chronic ailments, such as corruption, inefficiency and apathy plaguing Pakistan. Instead he showers fulsome prise on them, saying “they sustained us through their hard work, primarily because they remained outside the stranglehold of our highly literate establishment”. Enrolment numbers are one aspect of the madrasa story. Their influence is linked to “their problematic, unregulated curricula and the reach of their graduates, many of whom go on to become clerics at mosques and Islamic Studies teachers in public schools, thus exercising a far- reaching effect on Pakistan’s society and its youth.” Madrasas are by definition sectarian. And many madrasas teach jihadi literature “much of which is not publicly available” (Para 2, Page 134). Their text books teach intolerance towards religious minorities, and state that non-Muslims are not equal to Muslims, One text books openly calls for killing on the spot murtads ( Muslims who have turned away from Islam) while another says such extra judicial execution is not to be subjected to prosecution.Post 9/11, the United States had pumped in thousands of dollars to reform the madrasa system. 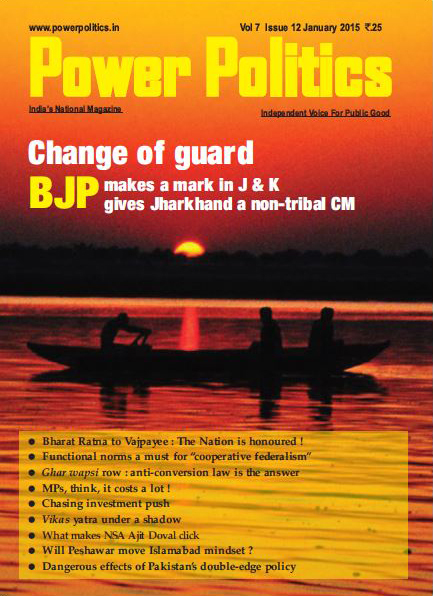 The programme has made little headway till date with Pakistan’s penchant for economy on political will. Durrani’s’ take on Afghan imbroglio is no less interesting. “The beneficiaries of the status quo (on Afghan theatre) - as in the Indo-Pak equation – were unwilling to rock the boat.” Who are these beneficiaries? “It dawned on us rather late that the resistance to a negotiated settlement came from those in Kabul who would lose their perks (perhaps even their lives) if this were achieved, and it came from their benefactor, the US, who, if there were peace, might be denied a military foothold in Afghanistan”. 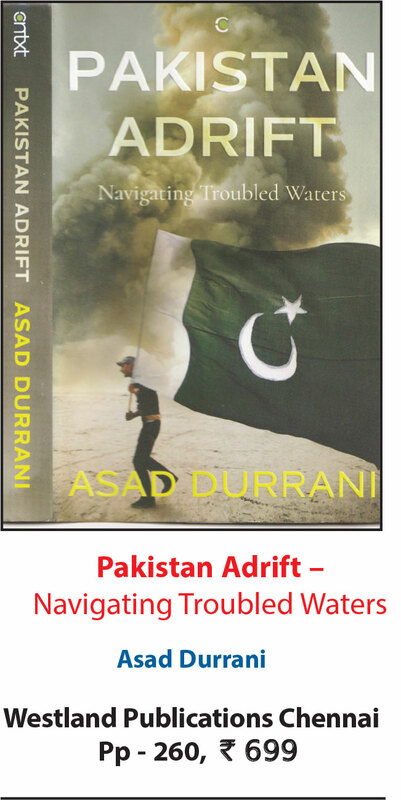 As the 273-page tome navigates troubled waters of Pakistan, Durrani provides an answer to the question upper most on the reader’s mind: “Why did he, who had risen to the exalted rank of a three star general and played a key role under Zia, Benazir Bhutto and Nawaz Sharif regimes, become a marked man to the extent that the establishment had placed him on ECL, Exit Control List, long after he had retired from active service? The affidavit he gave in what has come to be known as the Asghar Khan Case (that the ISI under his baton had paid money to Nawaz amongst other politicians to defeat Benazir Bhutto in 1990 elections) paved the way for his ignominy. He attributes his decision to sign the affidavit to a “combination of unflatteringfactors: obliging a regime that had rehabilitated me after an early retirement, the fear of losing another job, and perhaps also a fear of being found guilty of hiding facts from the law” (Para 2, Page 244). It reflected, as he himself remarks, his “appalling” judgement. Like his assessment to BBC in 2011 that“Pakistan Army was in on the strike” (Operation Neptune Spearthat had smoked out Osama bin Laden from his Abbottabad lair). All this goes to lend credence to the adage that those who have tasted power suffer from hubris.